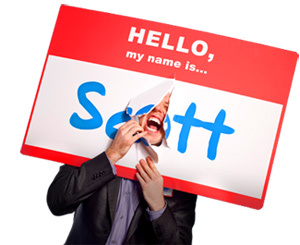 Speaking - HELLO, my name is Scott! "Each talk is customized to the audience. Over 600 unique presentations and counting." Since 2003, Scott has given 600+ presentations to over a quarter of a million people around the world, from corporations to associations to universities to non-profits. Scott customizes all of his talks for each individual audience. Through a detailed pre-program interview, Scott matches your organization's values, challenges and needs with his philosophy and practices. 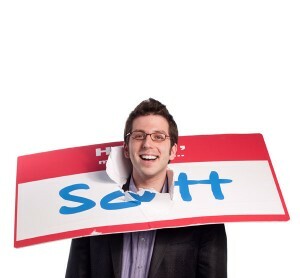 Recorded at the famous Sheldon Theater in St. Louis, Scott Ginsberg's TEDx talk tells the story of how he built an iconic brand, a profitable business and a fourteen year career out of wearing a nametag everyday. 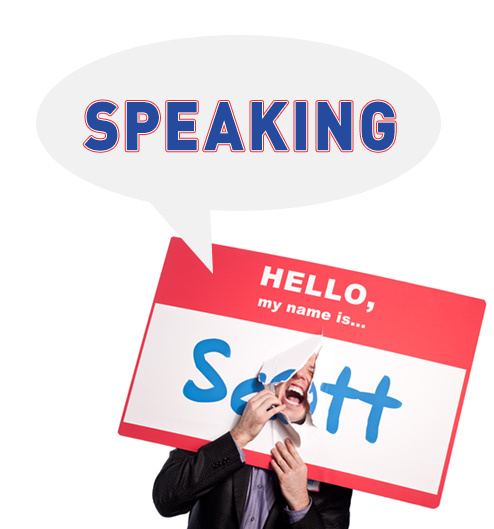 For fee schedules or to book Scott for your next association conference, company meeting or corporate event, click here!